Lovely soft material, fits nicely without being too clingy. 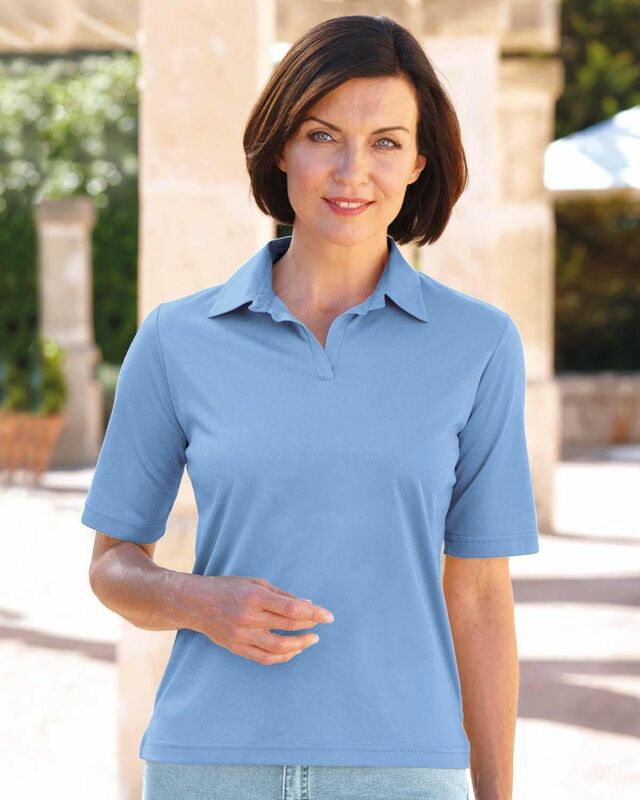 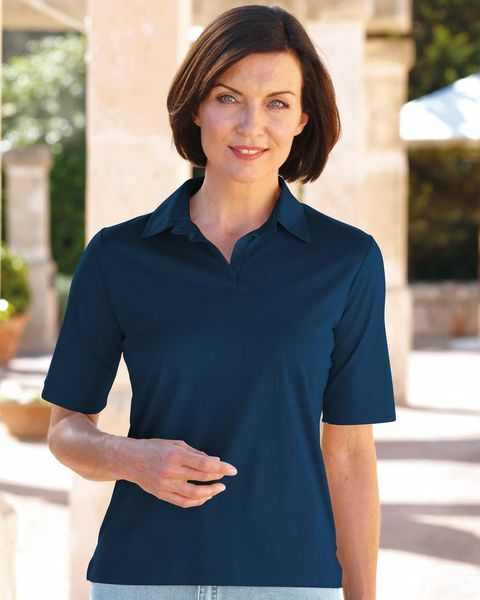 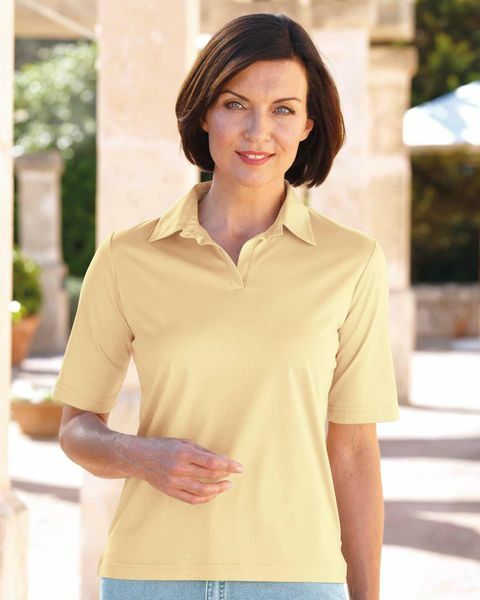 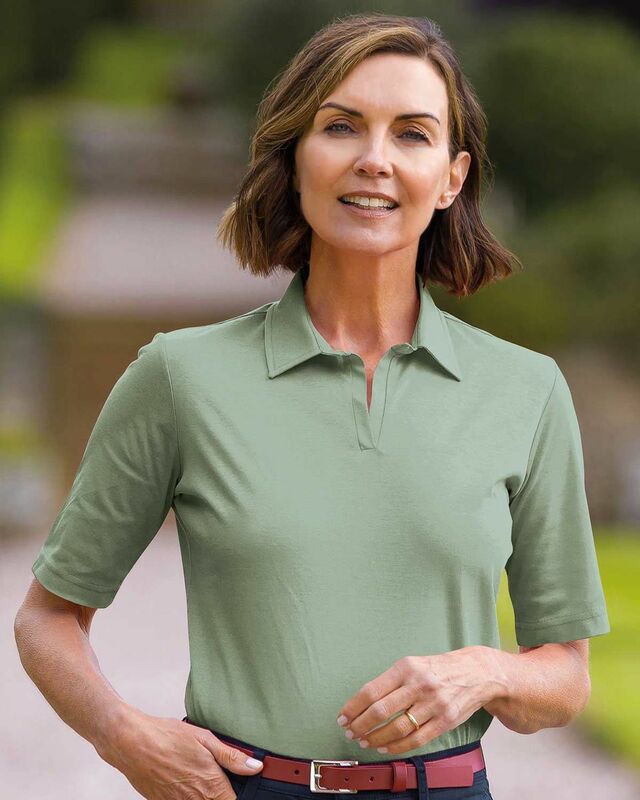 Short sleeve style polo cut from soft cotton jersey with a luxurious silky finish. 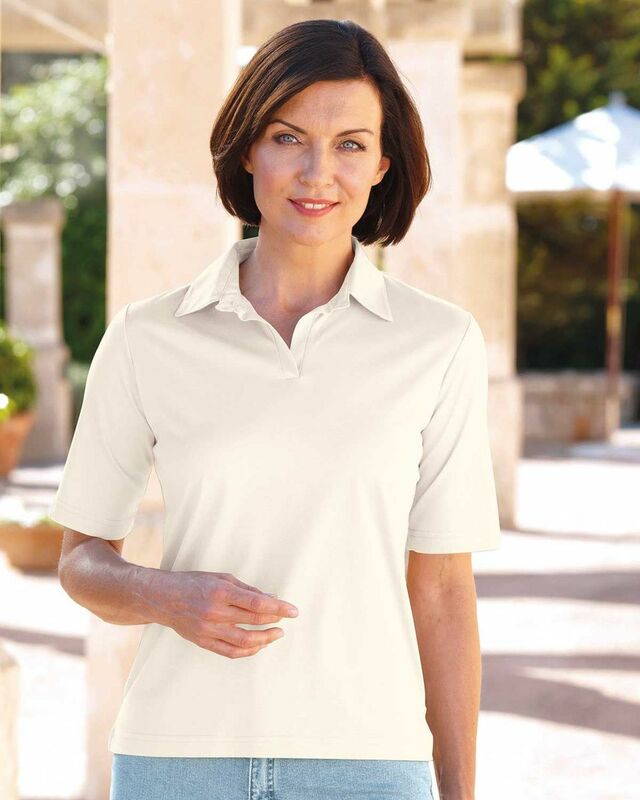 Elegant two-piece collar with narrow placket, straight hem and side vents. 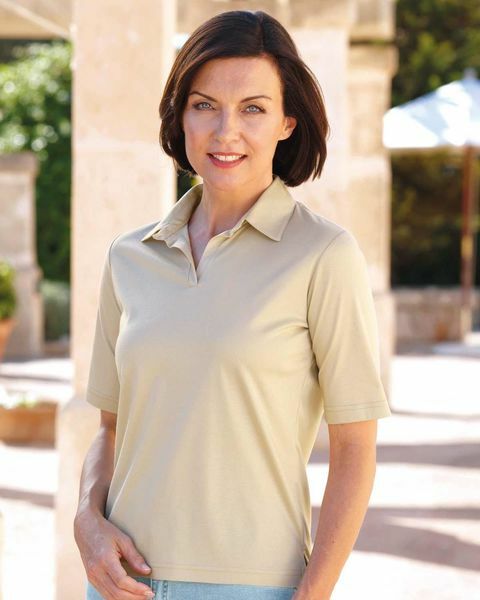 An ideal addition to your summer wardrobe. 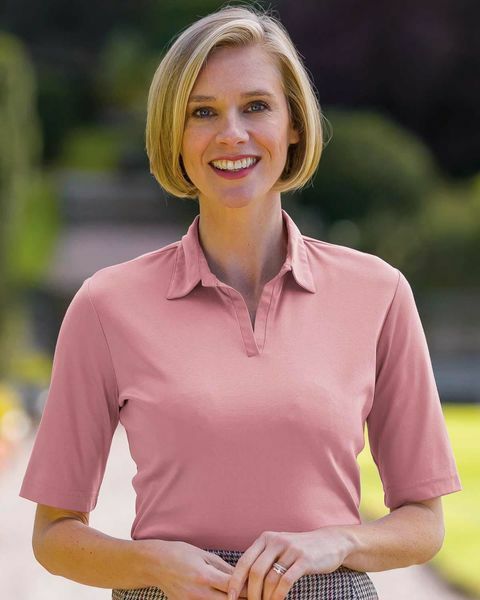 Bust (Actual Garment Measurement) XS-38", S-40", M-44", L-48", XL-52"
"Lovely soft material, fits nicely without being too clingy. "